Conformation Titles: Int.CH, AIAD wr. 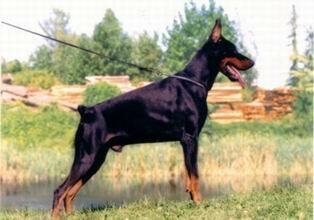 1991 Int.CH, Multi CH, World & Euro wr. CIB, Ch. YU, Welt DV Jgd Sieger, DV Sieger, A BSg.